Weight panels – 9,5 kg. Monocrystalline solar panel – universal device for converting solar energy into electricity. The main feature of this type of battery – uniform single-crystal flint. This material allows the model to have a fairly high rate of efficiency and excellent work as alone and in combination serial or parallel-connected groups to form a more powerful setup. Mobility.. This battery will become an indispensable companion for going fishing, picnic in the country without electricity because of it you can always recharge your tablet, phone, refrigerator or other appliances. Power. Monocrystalline solar panel can be used as battery house or subsistence farming. With it you can partially provide electricity to their needs and significantly reduce the cost of utilities. Such a device exceeds the efficiency polycrystalline models and polymer model. Easy to install and use monocrystalline solar panel. 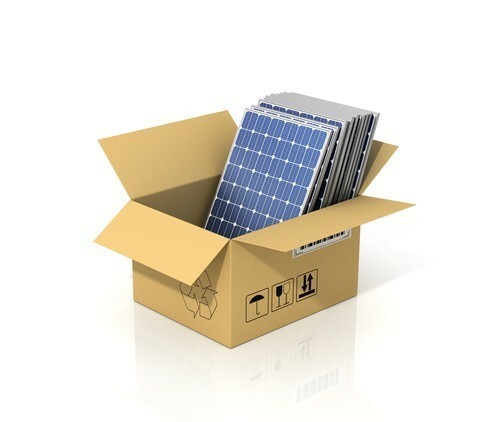 Monocrystalline solar panels are mounted simply and without additional tools. This durability of the design can be more than 25 years, making the purchase even more profitable. In addition, monocrystalline solar panels do not require additional maintenance and can provide you with electricity completely autonomously.